Everyone is lovin’ on green smoothies these days… how about trying some green pasta? Most of the time when you see a dish labeled “creamy,” it’s best to steer clear. Restaurants will use loads of heavy cream, cheese, butter and salt and before you know it, you’re eating over 1000 calories worth of pasta. But you know I wouldn’t do that to you, right? This is where my avocado pasta swoops in to save the day. 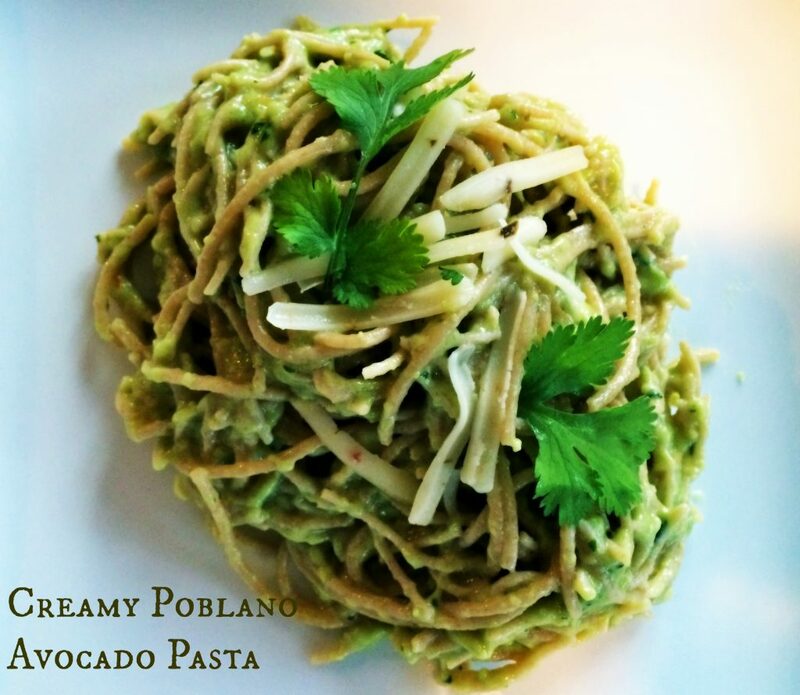 You can still have your creamy pasta, but this time instead of the it comes mostly from the avocado, which of full of the heart healthy omega 3 fats we all need to be getting more of! And of course, instead of the empty calories from your typical white, over-processed noodles, you get the filling fiber from the whole grain version. If you want a comfort dish and are feeling like it’s going to be an Alfredo or mac and cheese kinda night, that’s exactly when you want to pull this recipe outta your back pocket. It’ll curb your craving for creaminess without undoing all your hard work for the week. I’ve gotta say that the leftovers the next day aren’t as bright green and pretty as when you first make it, but it still tastes just as good. Or maybe you can just invite over a few friends so you won’t have any leftovers.